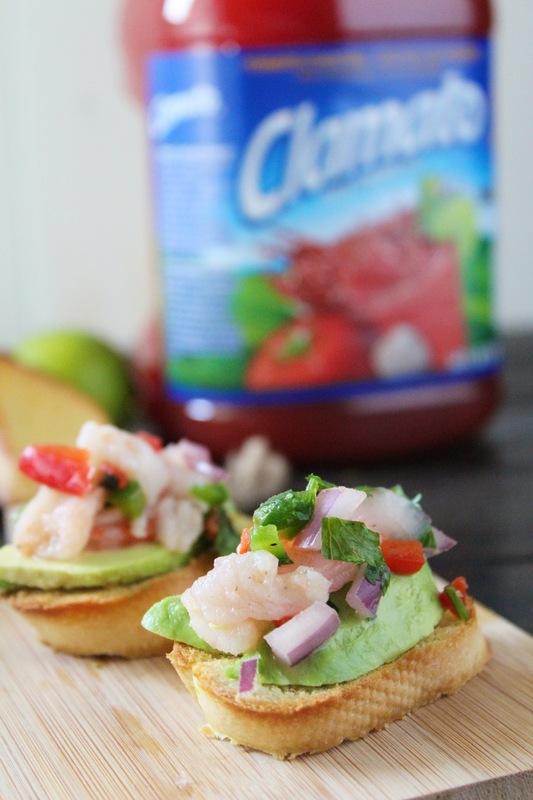 Traditional Ceviche is amped up with Clamato then piled atop a toasty baguette to serve Bruschetta style. Lent is one of my favorite times of the year. It’s a time of reflection, spending time with family and just trying to do better. And probably one of my favorite parts is all the seafood I get to eat. I enjoy seafood and try to have some when I can but during Lent it’s a main source of food. So of course I’m always trying to find new ways to serve it to my family and friends. 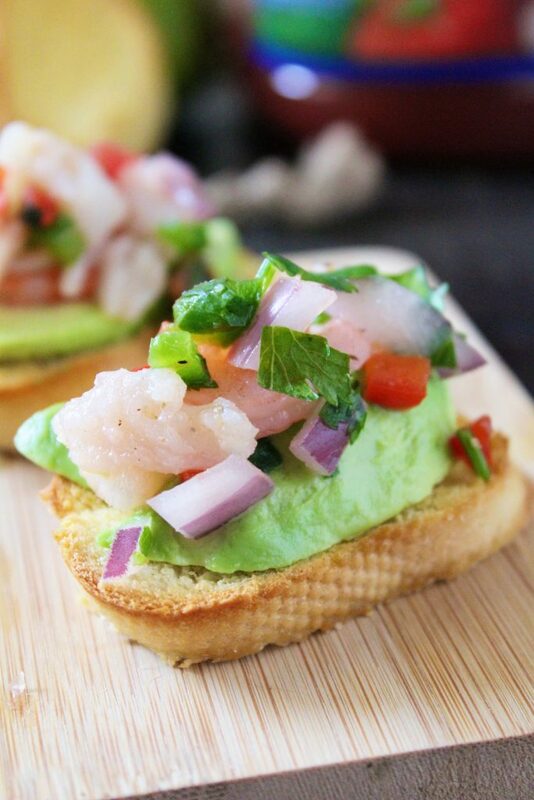 When I first started thinking of making ceviche, I wanted to do it a little different. Growing up, my dad used to make a homemade salsa and I just remember him throwing all the ingredients together, blend it and voila, a great salsa was made. 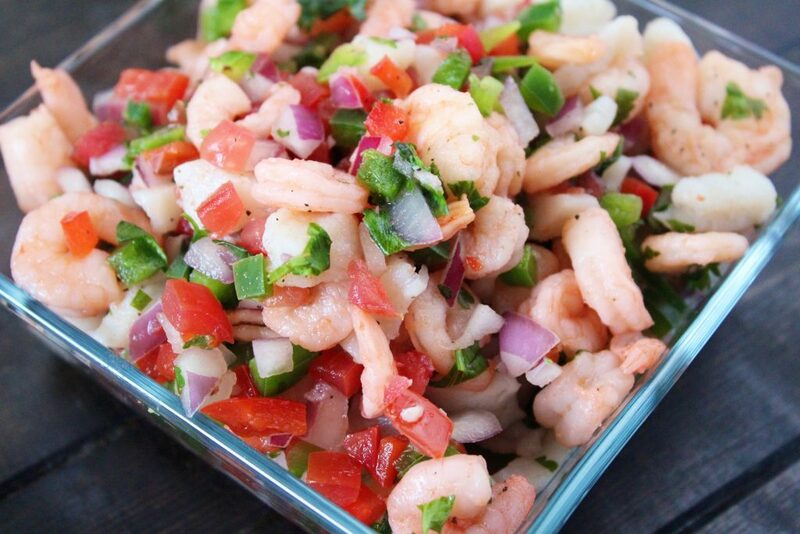 This ceviche dish reminds me of his salsa. You take some simple ingredients and mix it with Clamato and their amazing juice to get an unbelievable dish. 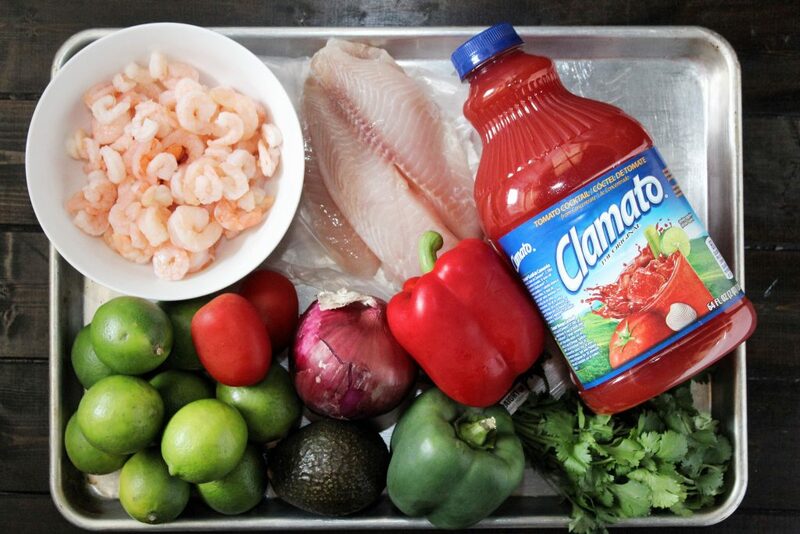 All the veggies and seafood marinate in the Clamato juice to give it an incredible flavor. 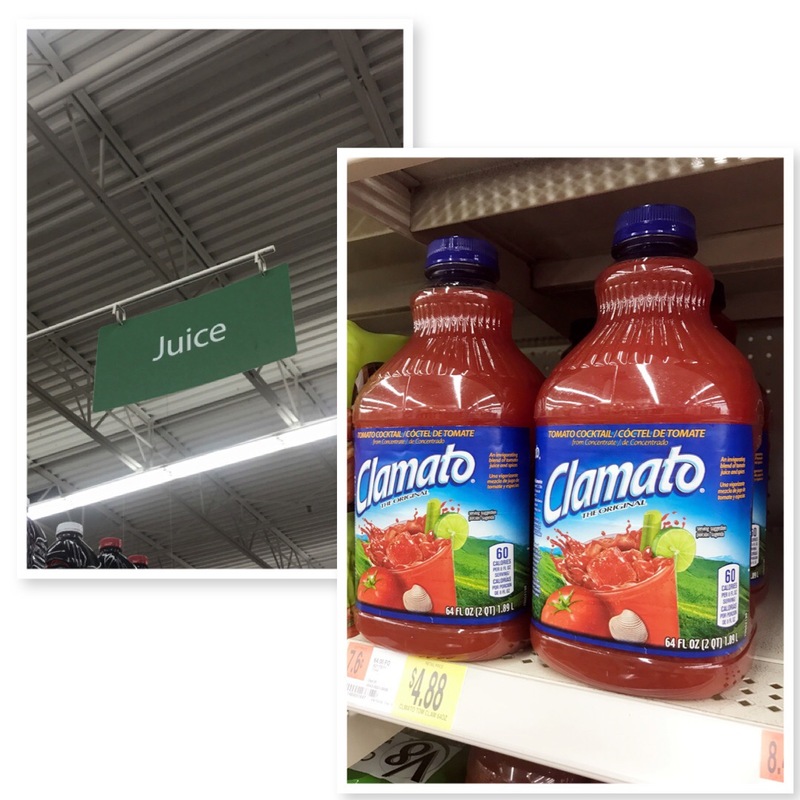 When I was at Walmart getting some groceries, I picked up the Clamato and everything else for this dish. The ceviche is taken over the top with the addition of avocado and the toasted baguette. Perfect for a family gathering or anytime really. This dish is simple to make and really makes an impression on your guests. 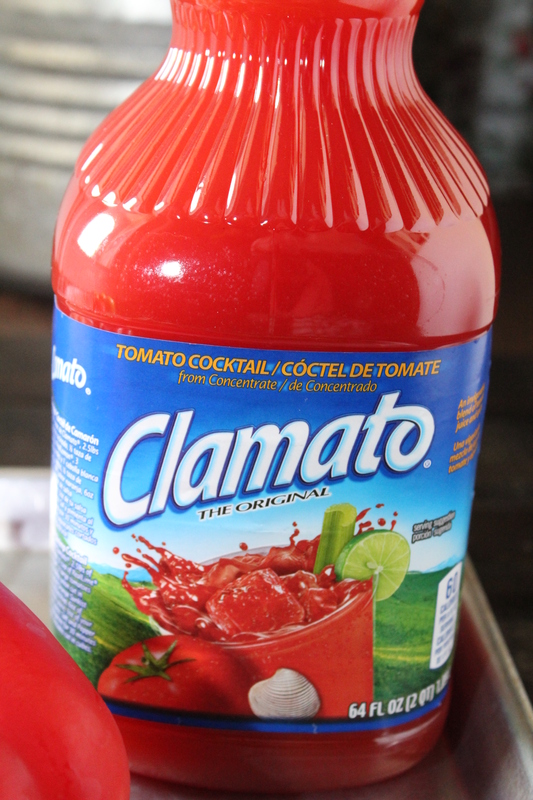 You can get other great recipes for Clamato here. Cut Tilapia into 1/2 inch pieces. Place fish in a glass dish. Juice limes and place in dish. Juice should cover the fish. Cover bowl tightly and place in the refrigerator for 1 hour until fish is “cooked”. In a medium bowl, add shrimp, bell peppers, onions, cilantro and Clamato juice. Toss to combine. Cover and place in the refrigerator. When Tilapia is cooked, drain from juice and add to bowl with vegetables. Toss together, cover and return to refrigerator while you prepare the baguette. Preheat oven to 450 degrees. Place rack close to the top of the oven. Cut baguette on the diagonal into 1/2 inch slices. Brush olive oil on both sides of cut slices of baguette. Place baguette slices on a cookie sheet. Place in the oven and bake for 8 minutes. Remove baguettes from the oven. 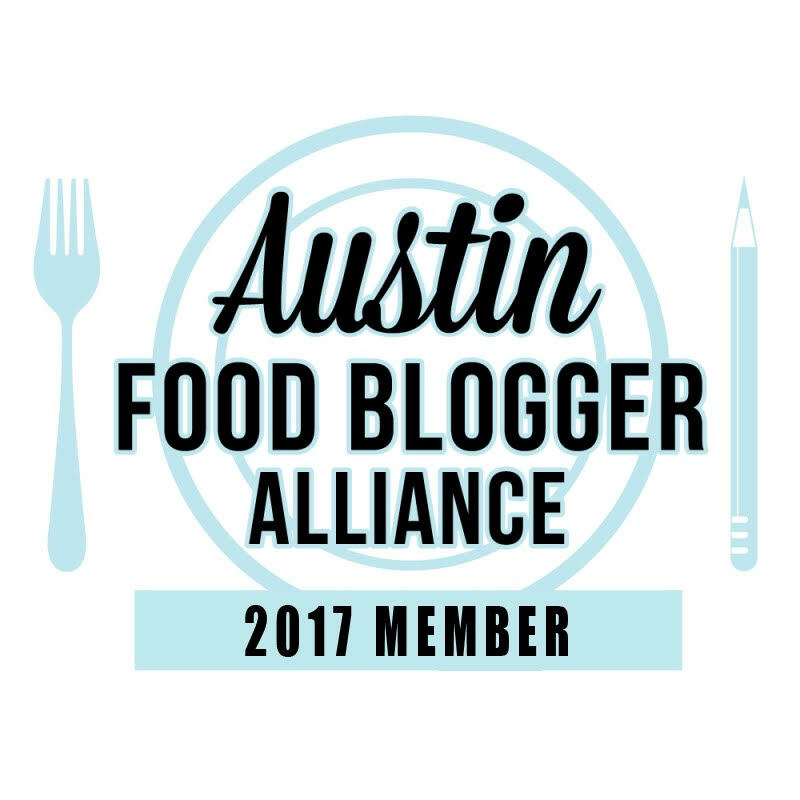 Peel avocados and slice into thin slices. 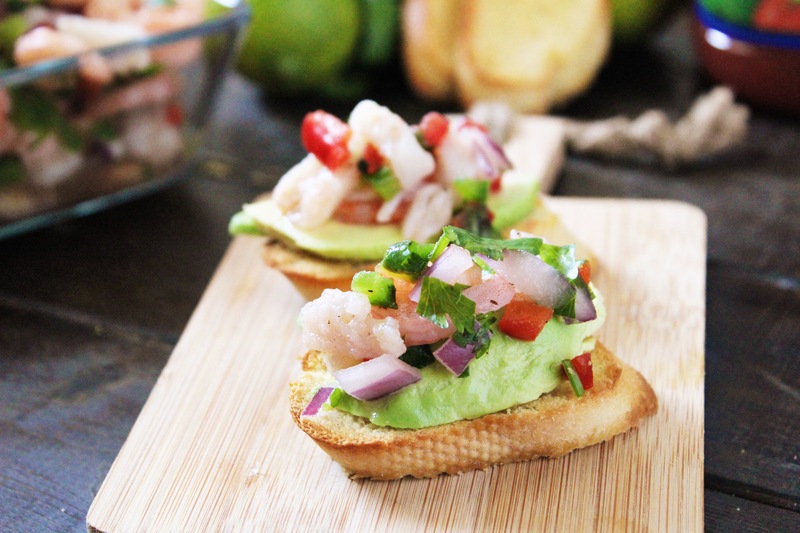 Place avocado slices on toasted baguettes then top with ceviche.